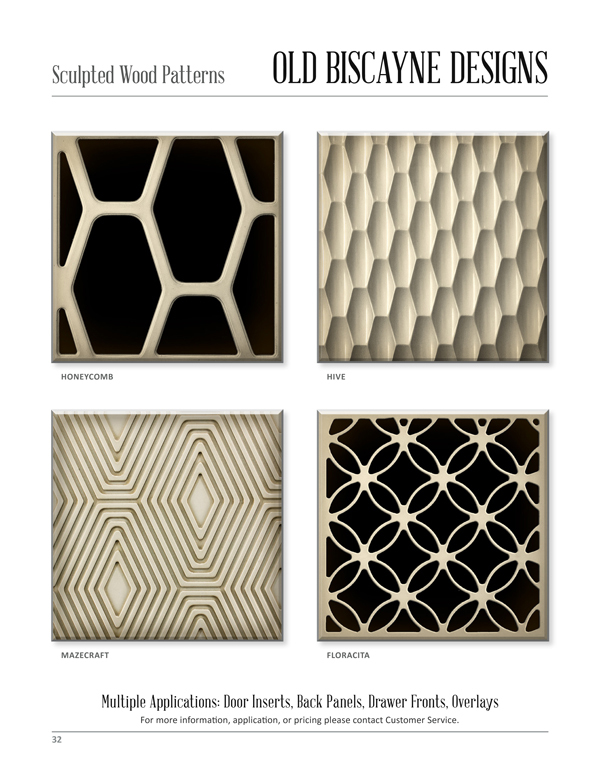 Our innovative Sculpted Wood Panels are unique designs created by Old Biscayne Designs. Sculpted Wood Panels offer options for multiple applications including door inserts, back panels, drawer fronts, overlays and more. For more information, application, or pricing please contact Customer Service.